With the new game coming out in just over one week, we're going to be on the receiving end of a lot of news updates for the next few days. Here's what we have to look forward to at the moment. I'll post again once Weekly Famitsu has been released later in the early hours of Thursday morning, and hopefully at some point the Japanese version of the game will finally appear for preorder on the PlayStation store. Wednesday 17th August: The latest episode (#49) of Capcom TV will air at 20:00 on YouTube, Nico Nico and Twitch, and they've promised to include a summary of the game's features and story. The game's producer, Nonaka Daizou, is scheduled to appear as well. Since this is the last episode before the game is released, Capcom TV will also be releasing their final Sanada Yukimura-den tie-in wallpaper for the LINE messaging service during the show. Thursday 18th August: The game's official website will update. Going by the usual pattern it will include some of the reveals from Weekly Famitsu, a few hours after the magazine goes on sale. We can also expect updates from the various Japanese gaming websites over the course of the day, and a video of Masayuki's (R2?) special move will appear on the official Twitter account as part of a retweet campaign. Thursday 18th August: The fourth (and final) Sengoku Basara: Sanada Yukimura-den live broadcast will air on Nico Nico Live at 20:00 Japan time, with Saaya acting as host. She'll be accompanied by series producer Kobayashi Hiroyuki (KobaP), the game's producer Nonaka Daizou and an actress named Ayana. The description promises the latest information plus extra-special prizes in the live quiz segment. The link to watch (or timeshift) the stream is here. Friday 19th August: The final Capcom TV spin-off 'study' video with Gor☆geous and NonakaP will be posted online, and the final video in the current retweet campaign will show off Nobuyuki's (R2?) special move on Twitter. Saturday 20th August: There will be an in-store presentation event with KobaP at the main EDION store in Hiroshima. It's likely that another new special weapon will be revealed - presumably Masayuki's - and then posted on the official Twitter account one day later. There's one more of these events to come two days after the game's release, but there are unlikely to be any more new announcements at that time. Keeping up with the established pattern, the series' official Twitter account shared pictures of two new weapons after recent in-store events. There's apparently some kind of special promotional video featuring all of these weapons which was shown to attendees and has yet to appear online. Yukimura's special weapon is Octopus Campaign, a pair of oversized takoyaki (balls made from octopus and batter). 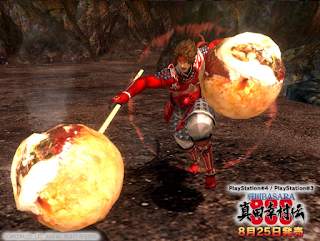 It's a regional speciality which represents the Osaka region, and as they're usually served piping hot they make an appropriate weapon for a person like Yukimura in more than one way. 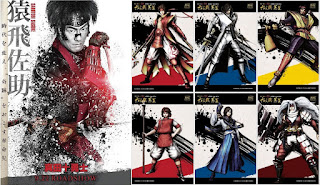 Capcom TV's space pirate Gor☆geous returned as promised with the second and third episodes of his miniseries, showing him learning about Sengoku Basara: Sanada Yukimura-den along with his viewers. Episode two featured NonakaP coaching Gor☆geous in the game's story mode, introducing the game mechanics for Yukimura, Masayuki and Nobuyuki and explaining each of the characters. Episode 3 showed off the game's third chapter which we haven't seen so much in the past, and NonakaP tried to explain how the game's characters and situations take inspiration from real Japanese history. 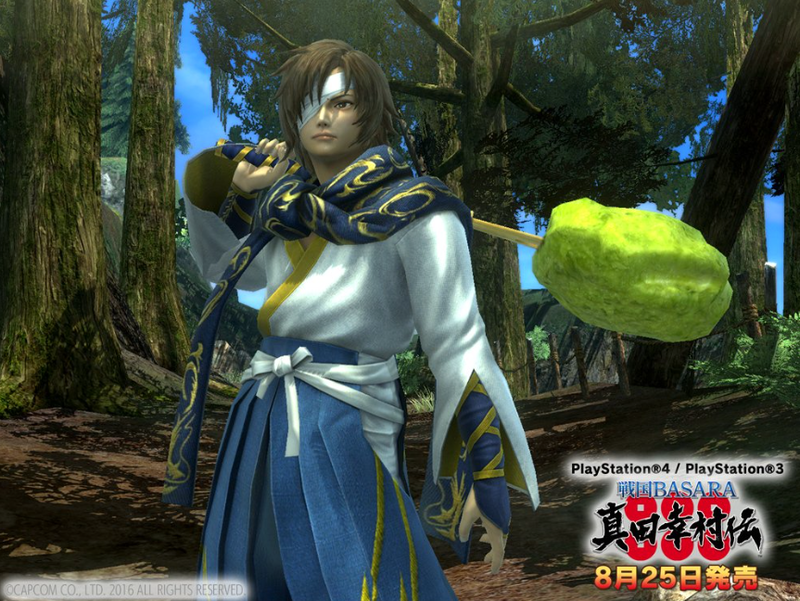 After starting off with the now-familiar Sanada clan members, Gor☆geous was also introduced to Date Masamune and the Sanadamaru fortress. After they saw Yukimura firing himself out of a gigantic cannon a message flashed up on screen reminding viewers that the game's version of the Sanadamaru wasn't entirely realistic. There's only one more episode left in the series and it comes out this week. Will Gor☆geous be able to prove to NonakaP that he's been paying attention to his lessons? Since Sengoku Basara: Sanada Yukimura-den is coming out so soon, initial details have been revealed about release day events to be held at 10:00 on 25th August 2016 in the TSUTAYA (Shibuya, Tokyo), and Joshin Denki Disc Pier (Nipponbashi branch, Osaka). KobaP will attend the event in Tokyo while NonakaP will be present in Osaka. Customers who bring their preorder receipts can enter a prize draw to win goods such as scripts and autograph boards signed by the series' voice actors. For those who can't be at the event in person, games retailer WonderGOO is also running a prize draw for its customers via Twitter. Later on in the year, there will be a pair of fan club gatherings in Tokyo and Osaka. 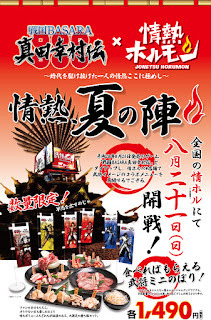 The Basara Club Fan Meeting 2016 Winter events will be held at Tokyo's Nissho Hall on Sunday 27th November 2016, and then the Osaka Business Park Enkei Hall on Saturday 10th December 2016. All tickets cost ¥5,000 and they'll be offered to fan club members via lottery. Naturally, a few special guests have been announced. 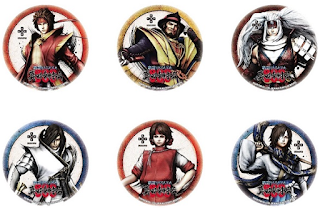 There still hasn't been much news since Zangeki Sengoku Basara: The Battle Of Sekigahara was officially announced, but we do know a few more details now. There will be four leads this time: Ieyasu, Mitsunari, Masamune and Yukimura, and they're using the artwork from Sengoku Basara 3 as the official illustration on the website. Further cast information will be revealed in late August when the first tickets are scheduled to go on sale. The play will run from 3rd February to 12th February 2017 in Tokyo then move to Osaka for the shows from 17th February to 19th February 2017. 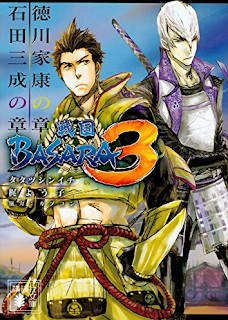 The fourth and final Kodansha BOX two-in-one edition, Sengoku Basara 3: Ishida Mitsunari No Shou/Tokugawa Ieyasu No Shou ('Ishida Mitsunari Chapter/Tokugawa Ieyasu Chapter'), has now been released, and consequently the new cover artwork is available. I wonder whether there will be any more new novels in future? 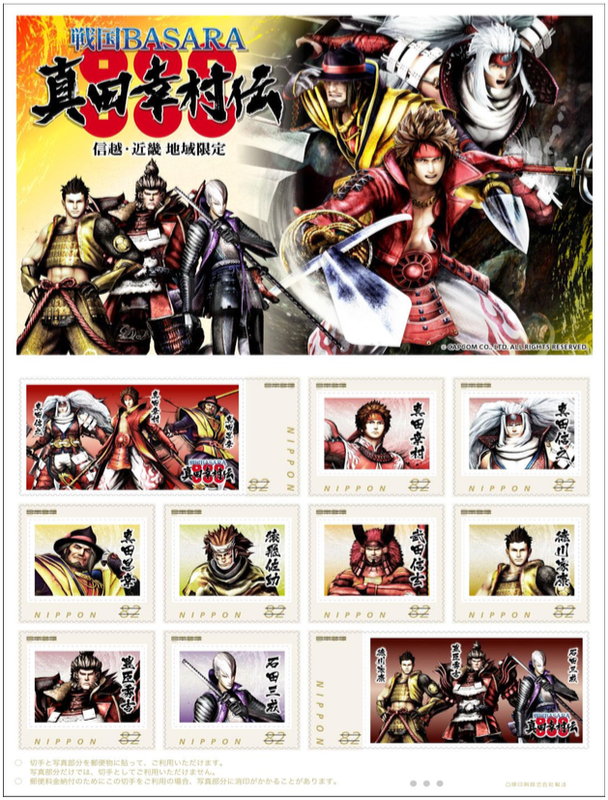 If you happen to be in Japan at the moment, the Japan Post online shop and selected post offices in the Shin-Etsu and Kinki regions are now selling sheets of Sengoku Basara: Sanada Yukimura-den postage stamps. 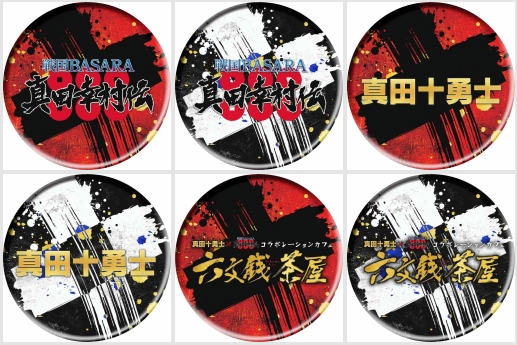 3,000 of the ¥1,500 stamp sheets will be made available in total, and each sheet contains ten individual ¥82 stamps. The offer closes at the end of March 2017. More information can be found on the official Japan Post press release. 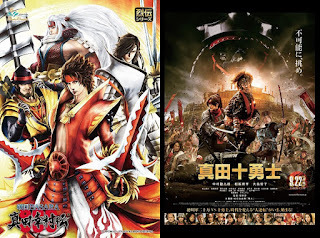 More details of the promotional tie-in between the Sanada Juuyuushi ('Sanada Ten Braves') movie and Sengoku Basara: Sanada Yukimura-den have now been released as promised. 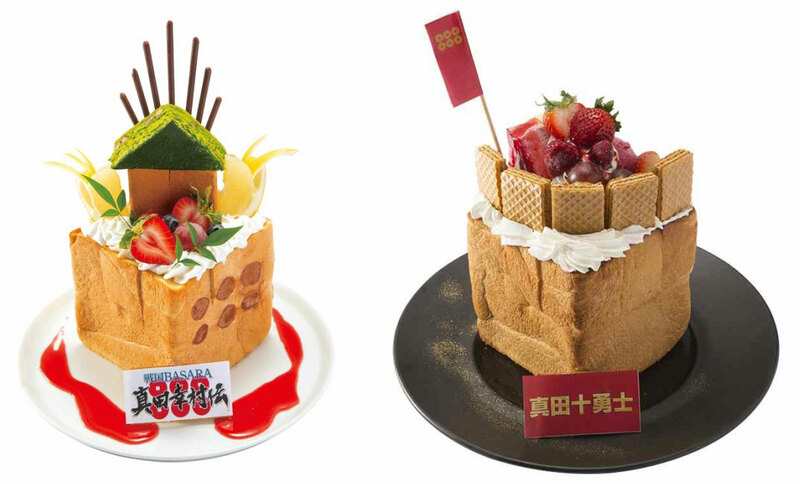 The Pasela Resorts entertainment chain opened a pair of special 'Rokumonsen Cafes' in its Akihabara Denkimachi (Tokyo) and Tennouji (Osaka) branches on 15th August 2016. 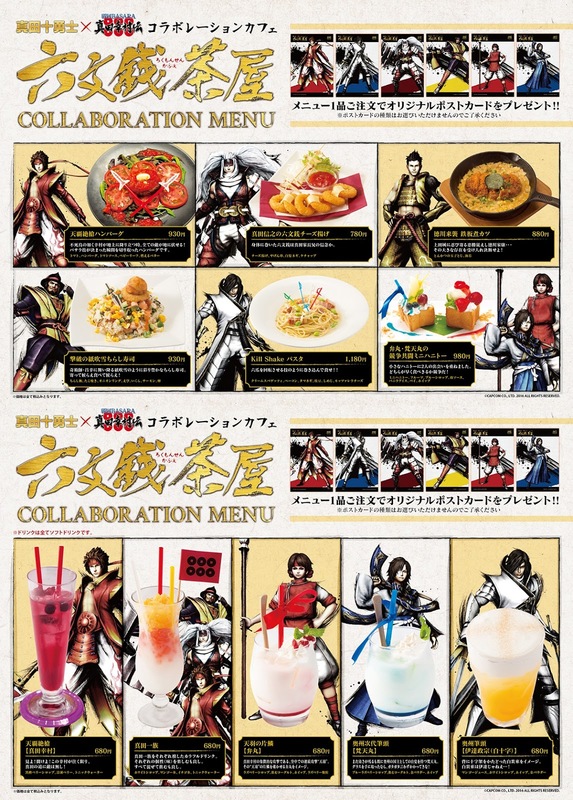 The cafes will only be open until 30th September 2016, but in that time they'll be offering a generous selection of food and drink themed around Sanada Yukimura. 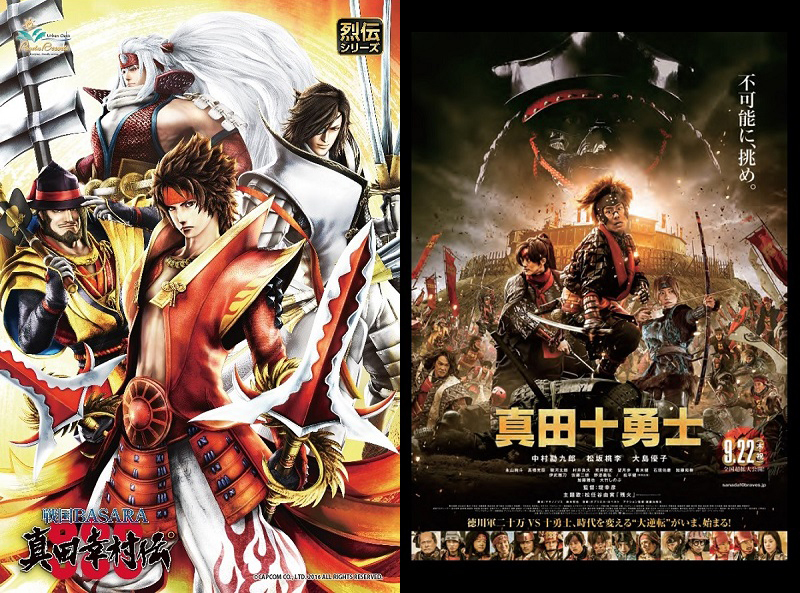 Since two different series are involved, some of the dishes are based on the Sengoku Basara version of Yukimura and others focus on the film. 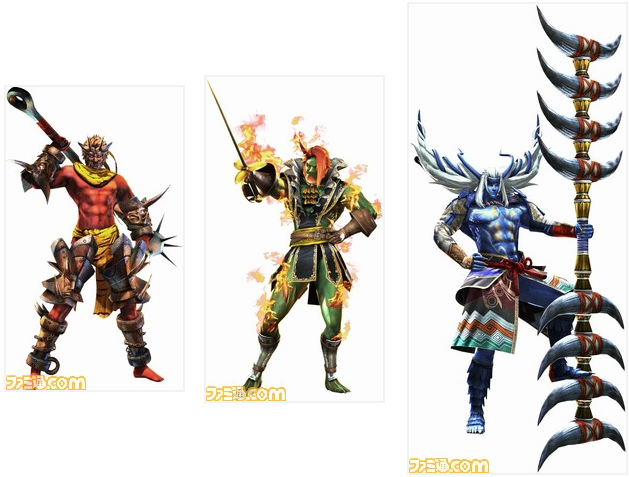 There's something for everyone - so long as they like the Sanada clan, I guess. Ordering from the Sanada Juuyuushi menu will get you a postcard with a promotional shot from the film, while the Sengoku Basara rewards one of six randomly-allocated postcards featuring one of the game's main characters. Fans are encouraged to follow the official accounts for both series on Twitter and tweet their impressions of the food with the ＃六文銭茶屋 hashtag during their visit. Doing so will earn them the reward of a randomly-chosen badge. 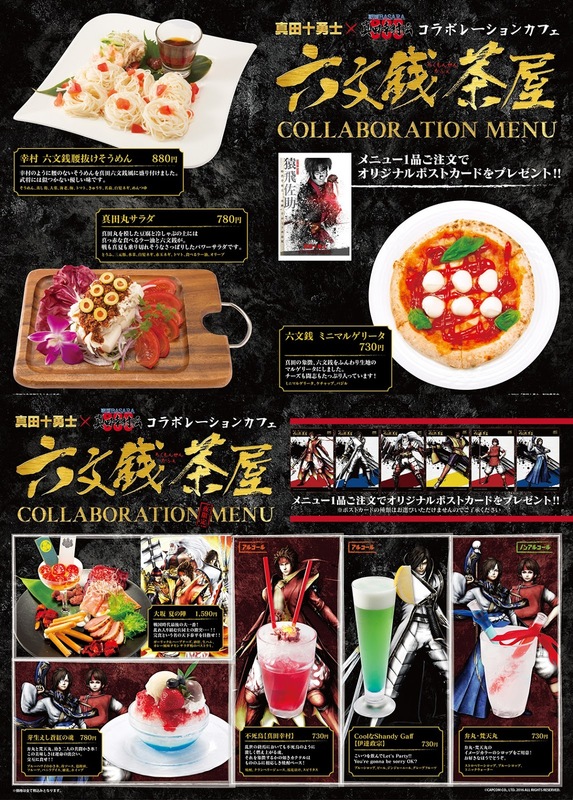 If you order from the menu, you'll be given a commemorative postcard! Last but not least, visiting the Pasela-run Capcom Bar in Shinjuku is also rewarding Yukimura fans, with special badges on offer for those who order from the Sanada Yukimura-den menu before 30th September. The menu itself is interesting, of course. 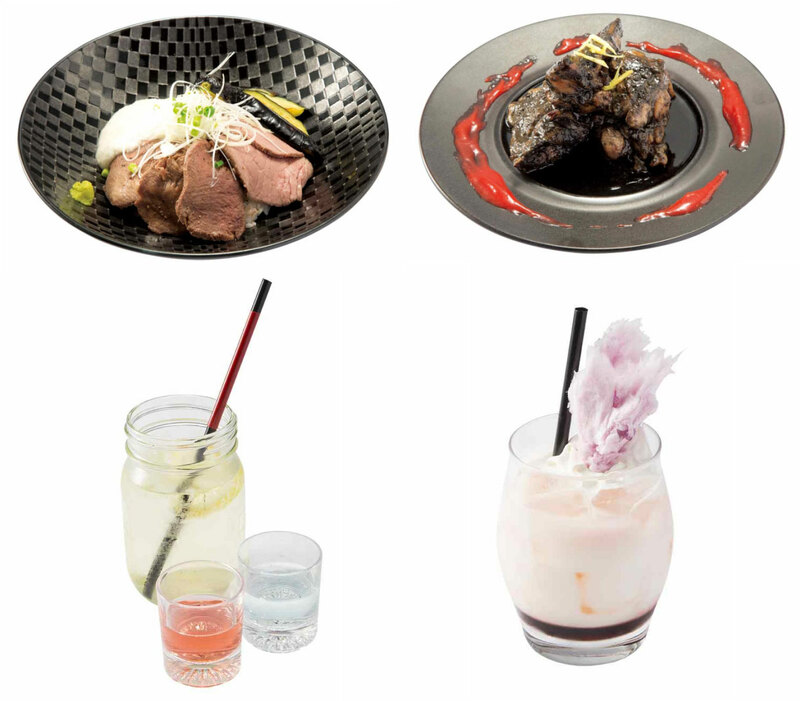 The meat dishes below are themed on the Odawara Campaign and Tenmokuzan stages respectively, while the drinks represent Masayuki and Nobuyuki. 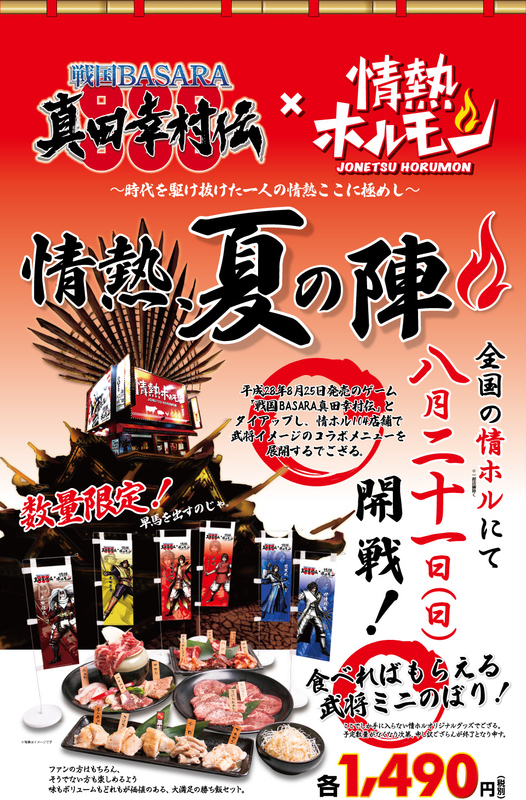 On the subject of food, national grilled meat chain Jonetsu Horumon is running a 'Summer Siege' campaign until 20th September 2016. 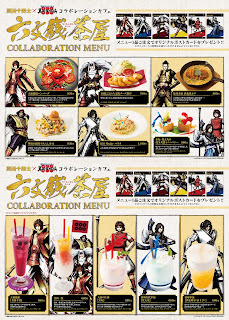 Four special themed dishes will be offered which each come with Sengoku Basara: Sanada Yukimura-den flags.